Check out some of our most popular teachers near Southborough, MA including Westborough, Shrewsbury, Worcester, Auburn and Milford. My first priority is to inspire and motive. Find out the students wants and needs, then tackle them head on. Exploring proper voice techniques and how to use the voice. Proper breathing technique. Learn music theory fundamentals and understanding the language of music so it can be applied to the voice. Phrasing, intonation and song building. Learn fundamental skills of vocal production while singing music you love! Singing is one of the most challenging and rewarding areas of musical performance. It's so personal and expressive that a lot of us feel uncomfortable approaching the voice at all. I've been singing and performing for over a decade. Using proper breathing technique and customized warm-ups I can help you become the best possible singer you can be! My students will build a strong technical foundation for singing. We will learn about breathing, posture, text, acting, and other singing tools. I can help you free your unique voice, and have fun in the process! I believe that singing requires a balance of focus and joyful energy. Lilla has been singing, touring and recording all over the world for 10+ years. She currently had a song that is in the top 10 on the UK Club Chars. She has written songs and produced music that's been in films, commercials and on radio. She has a BA from Berklee Collage Of Music. Lilla loves working with students and sharing knowledge. "One of the best feelings is seeing my students grow musically. I've been teaching voice for over ten years. Within the first few lessons, students will gain a basic foundation of breath support and vocal placement. I use a variety of repertoire including Italian art songs, musical theater, vocal exercises to help students gain insight into singing. I also emphasize basic music skills such as sight reading, ear training, and music theory. I have experience working with students of all ages and abilities and look forward to meeting you! Hello, my name is Jennifer and I have over a decade of experience in teaching, conducting, and performing in the Boston-area. I teach from my home studio in Braintree, Ma and am accepting new students at this time. I look forward to working with you to develop your singing voice, musical literacy, and confidence in performing. I train students in the Italian Bel Canto (beautiful singing) method because it builds strong and healthy voices. I welcome children over age five, older beginners, intermediate students, and amateurs. I believe every student deserves quality musical and vocal training, regardless of whether they intend to pursue a musical career or not. As a teacher and singer, I focus mainly on classical singing which develops a good foundation for other genres. I look forward to helping you reach your goals! Since working with Jen, I feel as though my musicianship skills have improved, and my sightsinging ability has gotten stronger. We work on technique and fundamentals every class and try to start a new piece every few weeks. Five stars do not give her justice! I have been working with Jen on music for over ten years. Just recently, in the last 6 months or so, I went to her to help me tackle a specific problem in my voice. Within just a few lessons, she developed an insight into how to help me, and we began to make real progress. I now have a specific pathway in which I am confident that with persistent work, I can overcome this problem. Jen has real insight into the human voice, and true compassion and patience when working with others. 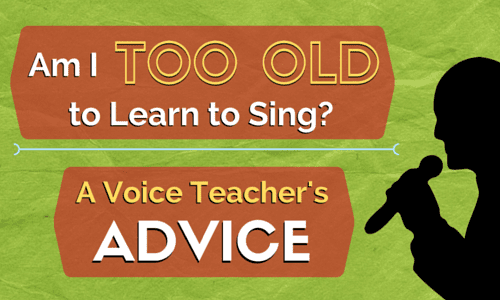 After teaching for over a decade, I promise you there is no such thing as not having a talent to sing. When people desperately want to sing and constantly do something about it, miracles happen. Some of my students have changed their lives through singing, and went a journey from being seemingly hopeless into gigging and performing musicians. In the lessons, we work on types of breathing, posture, stage presence and performing techniques, and we are having lots and lots of fun! Can't find a teacher in Southborough, MA?